Engineered, mixed & mastered by R.D. Liapakis & Christian Schmid, February 2006. All Guitars, drums and bass recorded at The Prophecy and Music Factory Studios, Germany, December 2005. All vocals and keyboards recorded at "G" Sound Studios, Greece, January 2006. Engineered by Nikos Iosifidis. 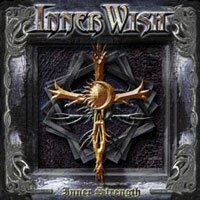 All songs written and arranged by InnerWish, except "Lonely Lady" written by Floyd Rose & Jonathan K.
The song "Inner Strength" is dedicated to Leonidas Chrisikos!